Learn the fundamentals of Binary Auditing. Know how HLL mapping works, get more inner file understanding than ever. Try to solve brain teasing puzzles with our collection of copy protection games. Increasing difficulty and unseen strange tricks. Learn how to find and analyse software vulnerability. Dig inside Buffer Overflows and learn how exploits can be prevented. Start to analyse your first viruses and malware the safe way. Learn about simple tricks and how viruses look like using real life examples. The training package includes all necessary files to run a complete lecture for Binary Auditing and Reverse Code Engineering at university. All files are well sorted by topics and with increasing difficulty. You need Windows XP, Windows Vista or Windows 7 to use this training package. The training package does NOT include runnable viruses! No source code? No problem. With IDA Pro, the interactive disassembler, you live in a source code-optional world. IDA can automatically analyze the millions of opcodes that make up an executable and present you with a disassembly. But at that point, your work is just beginning. With The IDA Pro Book, you’ll learn how to turn that mountain of mnemonics into something you can actually use. 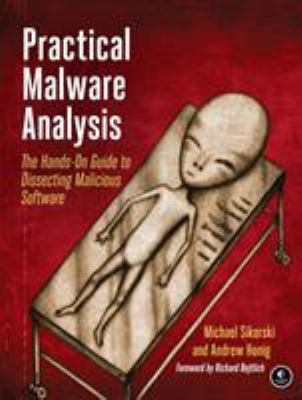 For those who want to stay ahead of the latest malware, Practical Malware Analysis will teach you the tools and techniques used by professional analysts. With this book as your guide, you’ll be able to safely analyze, debug, and disassemble any malicious software that comes your way.